An Anonymous Discussion Forum (AnonDiscussionForum) is a forum in which users can post anonymous contributions to a certain topic. 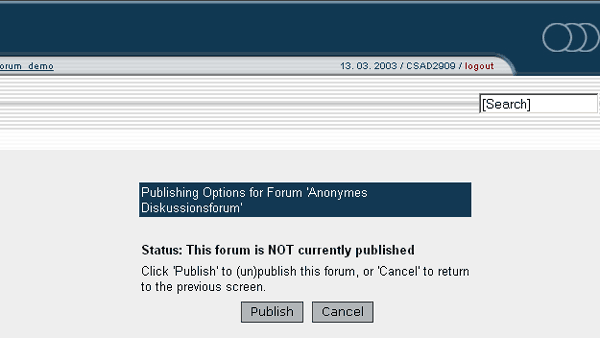 To create such a forum, the following steps are necessary. 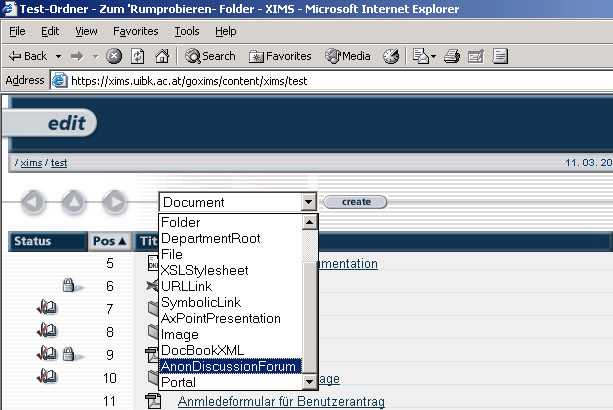 Choose "AnonDiscussionForum" from the drop-down menu. Assign title and location to your forum.